Insane value! FIFA 19 Future Stars Joelinton SBC is coming in Ultimate Team, there is just one challenge need to be completed and cost few FIFA 19 coins to get a 86 rated Bundesliga striker Joelinton from Brazil. Here we brings the cheapest solution to complete the FIFA 19 Joelinton Future Stars SBC with minimum FIFA 19 coins and player review for FUT Future Stars Joelinton. The attribute details of FIFA 19 FUT Future Stars Joelinton. 87 pace, 85 shooting, 85 dribbling, 73 passing and 84 physical, 6’1″ height and high/medium work rate, 4-star weak foot and 3-star skill moves. It’s definitely not a bad card. Does it worth for coins? Even though his 77 stamina is a little poor and means that he isn’t a end game player to last full match and the reactions are not very great in game, this not obscure the fact that this card have some pretty nice attributes, 90 strength, 86 jumping, 89 agility, 85 balance, 87 finishing and more, 77 composure and 79 long shots are not very ideal but it doesn’t really matter. You can put on a Hunter chemistry style on it to boost the stats a lttile. When it comes to the Joelinton FUT Future Stars SBC, you just need to submit one 84-rated squad with no IF or other special version players card, so it only cost about 38-45K FUT coins on all platforms. Overall it’s very worth for coins, you can also choose to save your coins and wait for a better Future Stars SBC or save your coins for an icon possibly because he won’t fit into some people’s lineup. But maybe it’s the cheapest one of all FIFA 19 FUT Future Stars SBC. 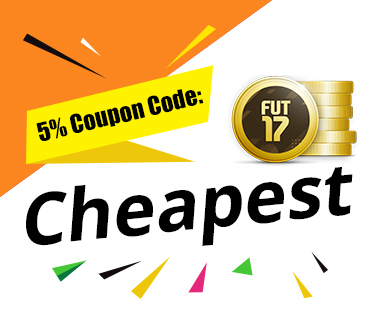 Check fifa coins for sale cheap now if you need.